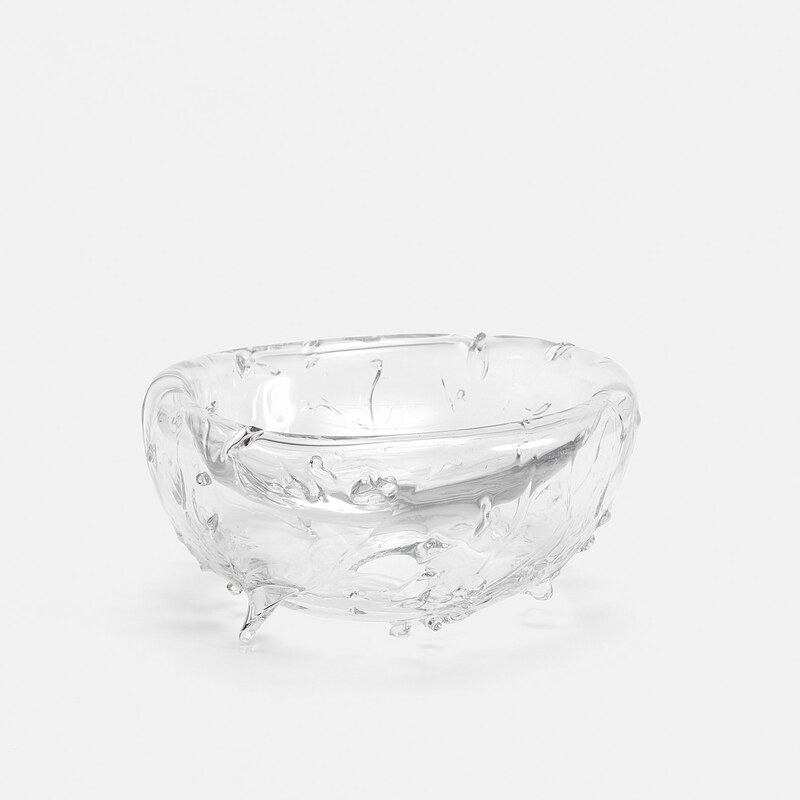 Broken glass shards are embedded—and blunted—in this deceptively safe bowl that’s mouth-blown, molded, cut, and polished. Felt Dining Table and Chairs by Delphine and Reed Krakoff for Established & SonsAn unconventional application of soft fabric adds both warmth and tension to the function of these furnishings, as spilling becomes a dangerous proposition. Door Handle by Alvar Aalto Believing that grasping a door handle is akin to shaking hands with a building, the Finnish architect paid great attention to user interaction. Leather-wrapped door handles were but one of his methods of offering a welcome touch. With its chunky, oversize embroidery, Charlotte Lancelot’s Silaï collection of rugs, poufs, and cushions for GAN provides a visceral link to its making. “You can connect with the person who made the stitches,” she says. “The thick wool yarns provide softness to the view and to the touch, creating a comfortable and heartening cocoon.” By activating the surface, the collection inspires the user to imagine the floor as furniture. “The materials we use to make products are just as important as the design and shape. When we use furniture, we’re touching it.” says Lancelot.